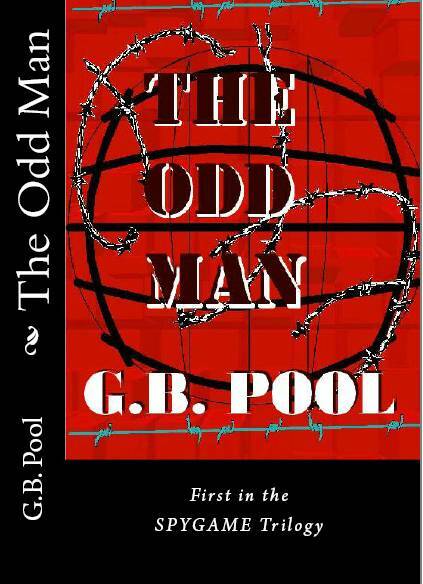 THE ODD MAN tells the story of WWII pilot Robert Mackenzie, shot down in Germany during the war, who ends up working with German resistance only to get caught in the firebombing of Hamburg. He helps Danish resistance with the escape plans for Niels Bohr who is then spirited out of the country on his way to Los Alamos. Mac finishes out the war in London working for "Wild Bill" Donovan and the OSS. He goes back to the States after the war and teaches a school for spies, first out of SAC, then with the newly formed CIA. When his first intelligence pipeline set up in East Berlin during the 60s is blown, Mac and the survivors try to figure out who betrayed them. While everyone is looking toward the Soviet Union and East Germany, their prey is actually in Washington, D.C., polishing his political résumé. While Mac and his team try to flush him out, things in Russia are changing. The one they seek fears Soviet archives will be opened before he can eliminate the last people who can link him to the Communists. The daughter of one of Mac's American spies is writer, Elaine Barton. While going through old notes belonging to one of the dead secret agents, she starts piecing together what happened years earlier. But Elaine and Mac need proof, something to link their prime suspect to the guy doing the dirty work. Their team spreads out worldwide, even into the Soviet Union, moving their pieces in for the kill. Will it be checkmate or do they just kick over the table?